Avodah Zarah is the prohibition against idolatry. It applies to all Jews and to all Noahides. This important prohibition includes all forms of idolatry, including placing anything before ones service and devotion to HaShem. This includes worshiping images (like idols) or people as gods (as incarnations, avatars, etc. ), and much more. This prohibition has far reaching implications. Anything or anyone a Noahide or a Jew places before our service to HaShem should be considered idolatry and avoided as avodah zarah. All Torah prohibitions have an opposite, positive, commandment. Since avodah zarah is specifically forbidden, we understand that worshiping the One True God alone is commanded. By seeking HaShem, by purifying our hearts and intentions, we draw ever closer to Him. Many people who come to embrace the Noahide Way come out of the Christian religion. It is important for these people to understand that the Christian views of Yeshua/Jesus are avodah zara for Jews and Noahides. HaShem does not manifest in physical forms. Believing that Yeshua, or anyone else, is an incarnation of the One True G-d, part of a trinity, etc. is forbidden to us as avodah zarah. Believing that any being other than HaShem grants forgiveness of sins, salvation, or redemption is avodah zarah for Jews and Noahides. Accepting any created being as the required mediator between humanity and HaShem is avodah zarah. If you are looking to Yeshua/Jesus, Muhammad, the Buddha, or any other religious leader, living or dead, for your enlightenment/salvation, and you are Jewish or consider yourself a Noahide, you are practicing avodah zarah, something forbidden to both Jews and Noahides. One can not practice any other religion and be accepted as a Noahide. It should be acknowledged here that there are branches of Judaism, especially among the Chassidim, that believe their Rebbe is the Messiah, the only way to G-d, and so on. This too is avodah zarah. While it is possible that ones departed Rebbe might return in a future lifetime, until he does and meets the Messianic requirements, he is not to be accepted as the Messiah. Thus far no one has met the Messianic requirements. Some people condemn those who follow other religious paths in the most offensive of terms. They rebuke them as idolators, they ridicule their 'lack of knowledge' and defame them whenever the occasion arises. This is not Derech Noahide! HaShem alone judges His creation and He expertly mixes justice with compassion for our true and lasting good. The law of Avodah Zarah neither commands nor excuses rude behavior. Rather, the people of G-d should whisper private thanks to HaShem for leading them along their path to Him, and for His ceaseless mercy. As the saying goes, "there except for the grace of HaShem go I." : Rebbe Nachman’s Wisdom: Pesach and Unnecessary Stringencies (Berakhot 25b; see “His Wisdom” #30). Sefer Chofetz Chaim page 50. Lashon Hara, By Shlomo Phillips. Go to: The Holy Hill Noahide Community Home Page. 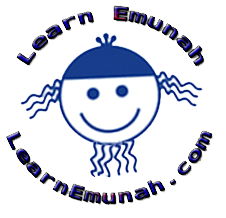 Go to: The Seven Noahide Laws As Religion.